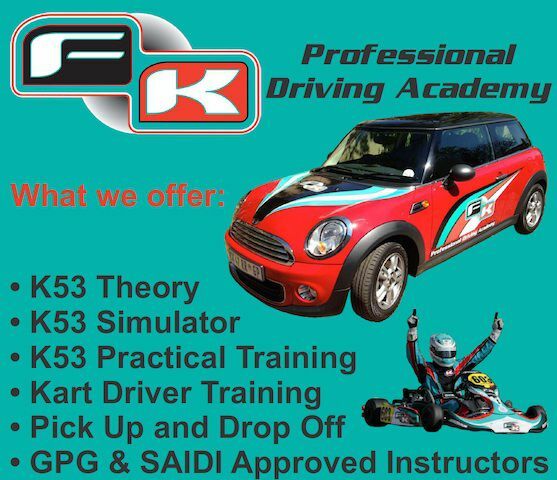 Why choose FK Professional Driving Academy? Registered as Instructors with the Gauteng Provincial Government. A Member of SAIDI - The South African Institute of Driving Instructor. No hidden or extra cost! No illegal or old crappy vehicles - We only use the latest dual-controlled Mini's to teach our students. Save money by being honest - we will not tell you that "you need a few more lessons before you are ready for your test" if it is not necessary. Our best attention and skills as driver trainers at all times. This is for your personal safety, when you become a legal driver. Very high success rate first time!